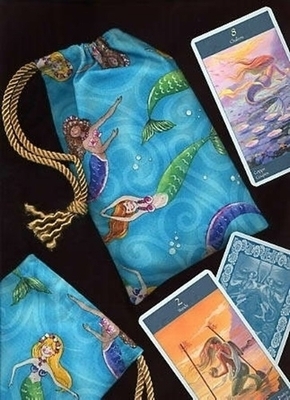 Three charming mermaids grace this Merry Mermaids tarot bag. 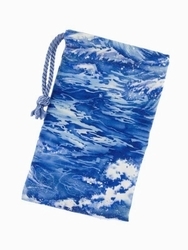 Swimming in a sea of swirls of Caribbean blue waters, each wears a bikini top made of seashells and two war garlands of sea flowers. 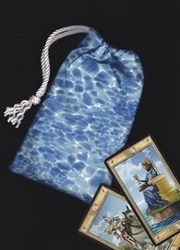 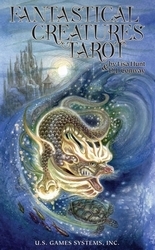 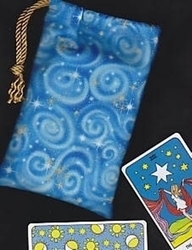 Deck Suggestions: This is the perfect bag to house the Tarot of Mermaids (aka Sirens Tarot, pictured), the Fantastical Creatures Tarot, the Magical Menagerie, Universal Goddesses Tarot, or the Tarot of Atlantis.